No quirky pre-emblems today, people. I’m on vacation so I don’t have time for all that. Nevertheless, I still wanted to get this recipe out so lets get to it. Mix all of the dry ingredients together thoroughly. Cut the butter into the flour mix until it looks kind of like cornmeal. Do this quickly because you want to keep the butter as cold as possible. Pour in the buttermilk and stir until everything is just combined. Okay, now this part is the important part, the rowing. 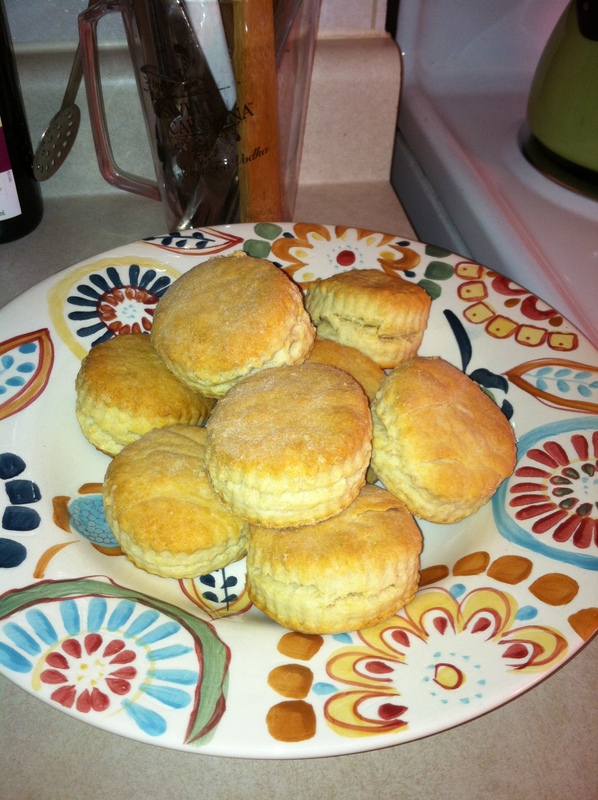 You can get the biscuits to have a nice layered look depending on how well you row them. Turn the dough onto a floured surface and pat it into a rectangle. Fold the rectangle into thirds. Give the dough a half turn, gather up any loose bits and gently row it back into a rectangle. Repeat this process two more times so that it is done no more than three times. Remember that rough handling of biscuit dough makes them tough. After the thirds go around, row the dough into the desired thickness and cut out your biscuits. 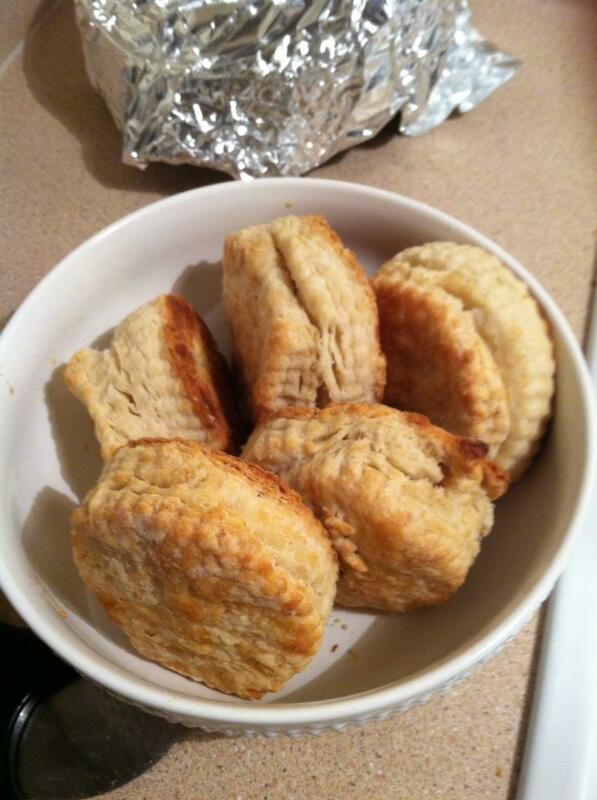 Place the biscuits onto the oven and cook for 15 minutes until golden brown.